Alpine strawberries have captivated our taste buds for a very long time. They are tiny yet highly aromatic and hugely flavorful ancestors of our common strawberry. Archeological excavations have shown Stone Age people in Denmark and Switzerland enjoyed them immensely, as shown from the evidence of seeds in those sites. 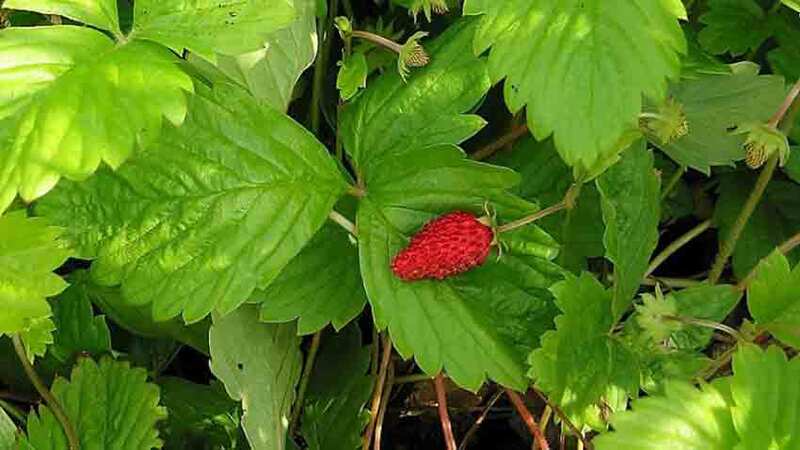 What we would recognize as alpine strawberries were first domestically cultivated in ancient Persia, where they were considered delicacies fit only for royalty. As often happens, seeds made their way both east and west through trade along the Silk Road route, becoming widely grown and loved. 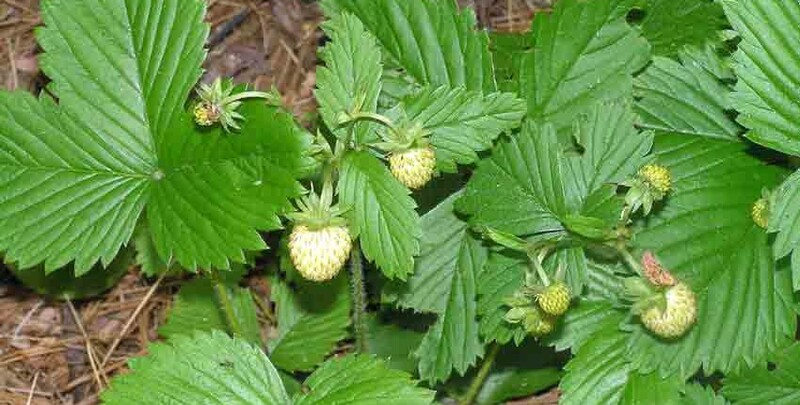 Find Your Alpine Strawberries Here! The Roman poet Virgil named the strawberry in works about country life, associating it with other wild fruits and citing the beauties of the fields in his third Ecologue. During the same period Ovid mentions the mountain strawberry in his description of the Golden Age in book one and again in book thirteen of his Metamorphoses narrative. Pliny is considered the last of the ancients to write of the strawberry, listing “Fraga”, the strawberry fruit, as one of the natural products of Italy in the twenty first book of his Natural History series. From the 10th century until the early 19th, alpine strawberries were hugely profitable, highly regarded and very well known. After suffering from some mis-informed bad publicity in the mid-1100s, alpine strawberries became quite popular in religious paintings beginning in the late 1300s – often associated with Mary and the Baby Jesus in illuminated manuscripts and paintings. 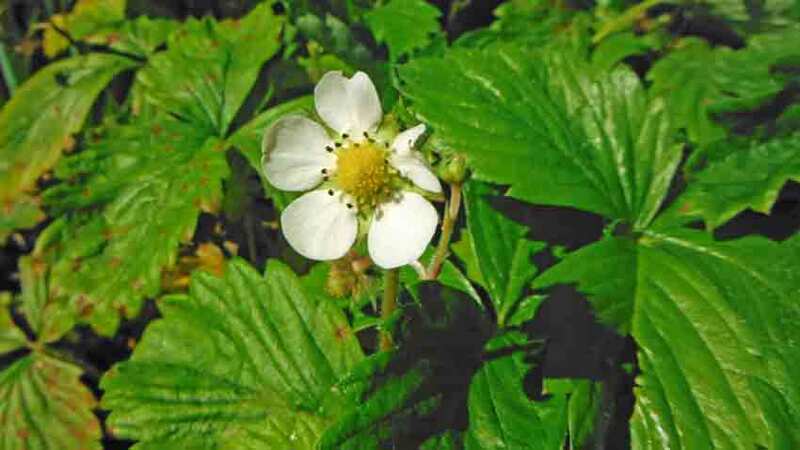 The Catholic Church and royal families from Italy, France, England and Germany were responsible for much of the promotion of the alpine strawberry as they tasted and fell in love with it. A few excellent examples are located in the School of Cologne in Germany. 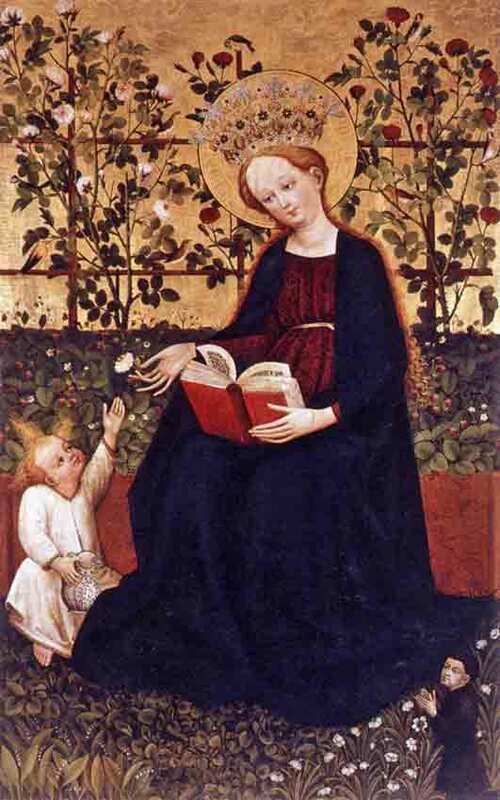 “The Madonna of the Roses”, “The Garden of Paradise” and the “Madonna among the Strawberries” all portray the Madonna as a young girl in a closed garden with the infant Jesus in her lap. She is surrounded by roses, thistles, carnations, lily of the valley, iris, primrose and the entire plants of the alpine strawberry, showing its tiny, prolific red fruit and white five petal flowers along with its toothy leaves. The alpine strawberries are painted botanically correct and are exact, perfect replicas of what we see today. They are always portrayed in a place of honor and importance, reflecting the standing they held in elevated society of the day. 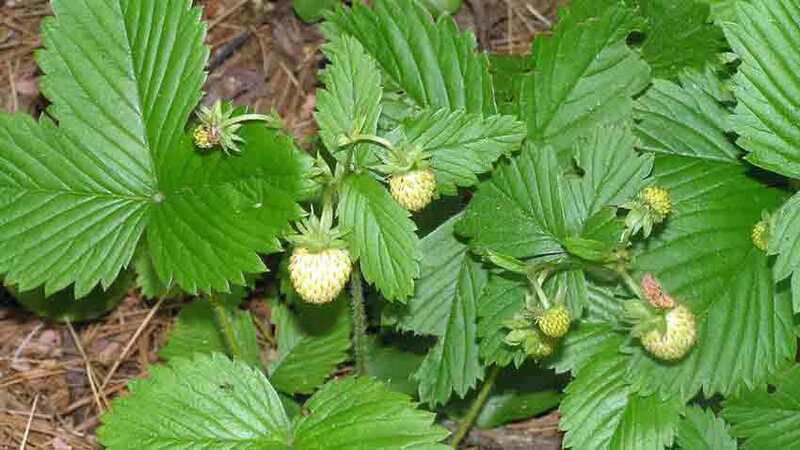 By the late 1300s the alpine strawberry was in widespread cultivation throughout Europe as more of the working classes began transplanting the alpine strawberry from the woods and wilderness to their gardens. Street vendors were selling the fruit to Londoners in 1430 when John Lidgate wrote the song “London Lickpenny” which mentions ripe strawberries and cherries for sale in London. All strawberries up until the mid-1700s were all of the alpine or wood type; being very small, highly aromatic and having much more flavor than would be thought possible for their size. These characteristics are what made them so remarkable, along with their intense sweetness. Another interesting fact is not all of these strawberries were red; there were white and yellow varieties which were just as highly regarded as the red ones, having different flavors of their own. This begin to change with the world exploration of the early 1700s, with plant and animal samples brought back to Europe from all over the world. The modern domesticated large fruited strawberry got its start from these collecting expeditions, with a few strawberry plants brought back from a mapping trip to Chile by Amédée-François Frézier, a French naval engineer who noticed and enjoyed the tremendously large strawberries growing along the Chilean coast in 1712. He wrote the fruit were commonly as large as a walnut; almost three times the size of the alpine strawberry of the day. He brought back plants which were installed in the royal gardens and in Brittany, which grew well but did not set any fruit. It was later discovered the Chilean strawberries have male and female plants, and Frézier had only brought back female plants. 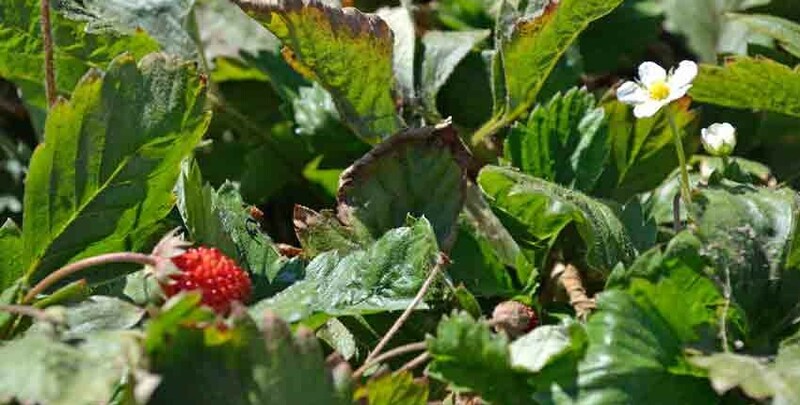 It wasn’t until 30 years later when someone brought back male strawberry plants from Virginia that the Chilean strawberries began to produce fruit, creating the first hybrid strawberry. This new variety is the foundation of all domestic strawberries grown today with the large and familiar heart-shaped fruit. 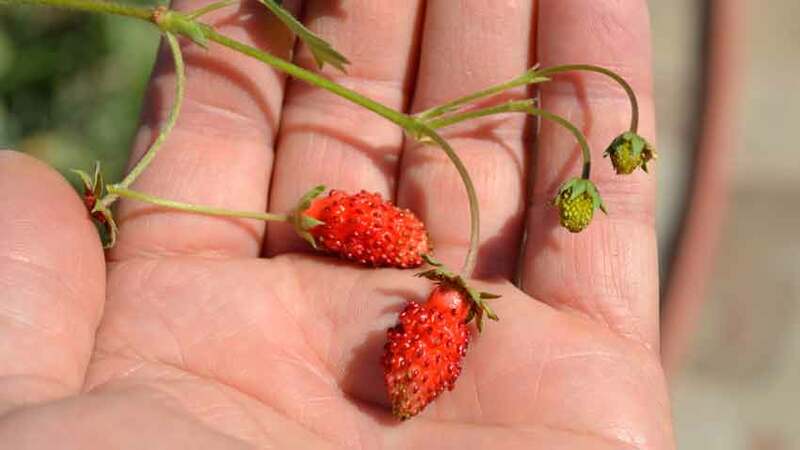 As would be expected, alpine strawberries began a decline in popularity as their larger sized and heavier producing cousins gained recognition, both in Europe and America. 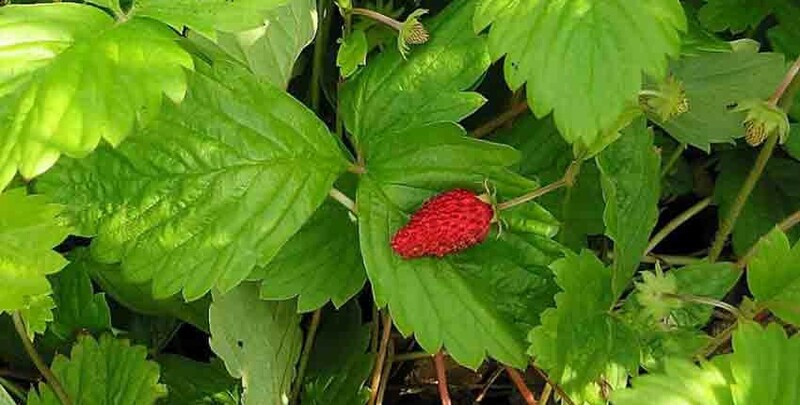 Alpine strawberries returned to their former, more exclusive roots, being highly valued by pastry and dessert chefs in France and across Europe for their highly concentrated flavors, balanced sweetness and heady aroma that would perfume a room. Eventually, French and Viennese pastry chefs would raise the use of “Fraises des Bois” to a high art form, competing with each other to make the most visually stunning, aromatic and delicious pastries and desserts possible. Today, alpine strawberries are almost nonexistent in grocery or specialty stores, but are imported from Europe as ingredients in gourmet jams, sauces, liqueurs and as a coloring agent in cosmetics. The best way to experience these flavors and scents – often described as “ambrosia” – for yourself is to grow them in your garden. While alpine strawberries may not be as productive in weight as their domestic cousins, what they lack in quantity is more than made up for in quality. 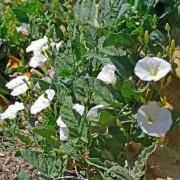 Given fertile soil, proper conditions and some care, they can be very productive. Enough so that some caterers, confectioners and resorts are buying from local growers specializing in alpine strawberries. 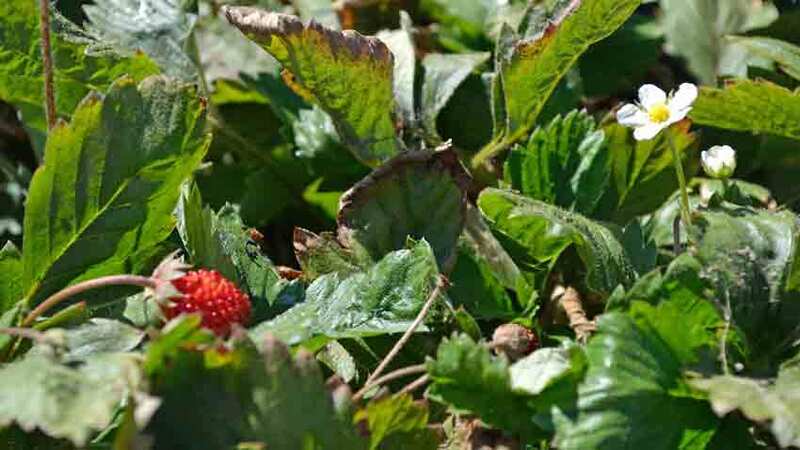 Besides a good quality, fertile and well-drained soil, alpine strawberries need a good amount of sun. In hot areas, they will benefit from partial or afternoon shade. Consistent soil moisture is a key factor in encouraging production, along with a good layer of mulch along their roots to keep them moist. 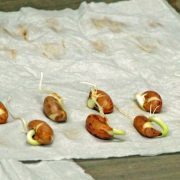 Another benefit is they readily grow true from seed, unlike domestic strawberries which must be started from vegetative propagation. They don’t send out runners, instead concentrating their energies in flowering and fruiting. They will slowly increase their crowns and gradually grow into mounds about a foot in both diameter and height. They will often flower the first year, but normally won’t set fruit until the second year and will continue producing for several years if well kept. 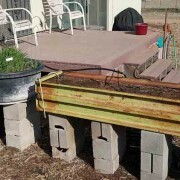 Because of their growth habits, alpine strawberries make for great border plantings as well as edging along a garden walkway or in larger patio containers. They are perennial and can be very cold tolerant if their crowns are heavily mulched to about eight inches before the first hard freeze. 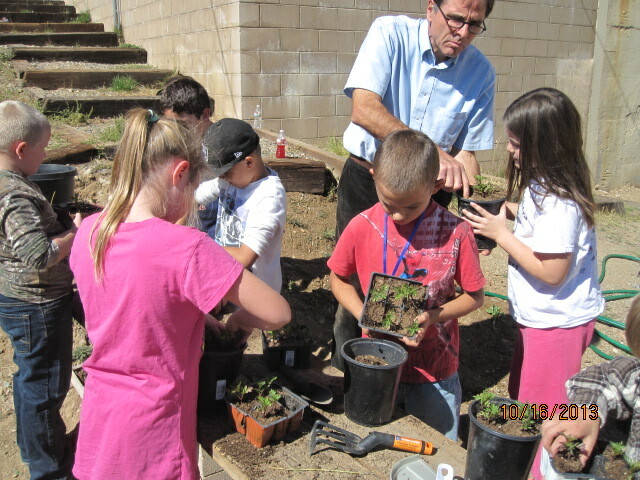 With a little planning and care in planting and tending your plants, you can experience firsthand why mankind has had such an intense love affair with strawberries for so long. 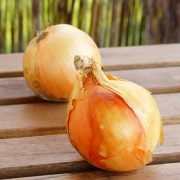 You get to taste the same explosion of flavors and be captivated by those intense aromas which Persian kings and European royalty enjoyed so long ago, right there in your home garden. Lovely post on alpine strawberries! All the information is very helpful and interesting. I remember the lovely tiny fruits with strong flavor in my grandmother’s garden when I was child. During all these years, the alpine strawberries mixed with another variety, but we still grow them at home now. I’m definitely showing your post to my mother. Thank you for sharing! Glad to hear your love of the alpine strawberries! People don’t know what to think of them, until they taste them!